My Little Stars is set in a large private house with its own grounds, offering a secure and homely environment for young children. 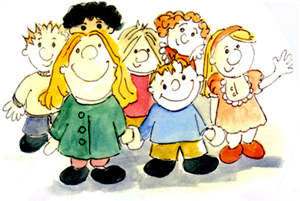 We understand that it is a very difficult decision to leave your child in the care of others and we are dedicated to ensuring both parents and children are happy and feel supported by nursery staff – parents are welcome to visit at any time. We never underestimate the importance of the parental role and the need for you, as a parent, to feel involved in every aspect of your child’s upbringing. Parents should feel assured that their child is being cared for in accordance with their wishes, beliefs and preferred routine. We are committed to providing highly-trained, dedicated staff whose love of children is reflected in every aspect of their approach to childcare. Staff will provide activities and experiences to stimulate children in a flexible but frame-worked routine. Security and safety of our children is a high priority. We have CCTV monitoring in each room and to ensure your child is only collected from our nursery by people authorised to do so, we operate a password system and have photographs of nominate carers on file. All of our staff are CRB checked. Children learn through play and with guidance from our practitioners, we help them to make the most of every opportunity and experience. 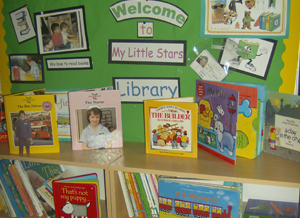 At My Little Stars we strive to provide the highest standards of care and education possible. We feel that our nursery must provide an environment that is as comfortable and secure as that of a home. Although we implement a structure to our days and carefully plan each activity, there will be plenty of opportunity for learning and development through free play with good quality toys. Give your child a positive start to their learning and call us today for more information.